13-year-old Boy Scout climbs unmarked 12,785 ft. peak in Sequioia … in 1972. Boy Scout Leaves note in a film cannister. Note is discovered this month: 40 years after it was written. Boy Scout grows up to be a 53-year-old San Diego Superior Court Judge Tim Taylor. 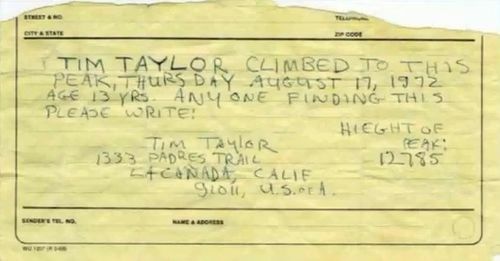 Hiker who discovered the note is 69-year old, Larry Wright, experienced Sierra hiker on a trek with his son and grandson. Peak remains un-named, Wright suggests Taylor-Wright peak. Great idea; great story. 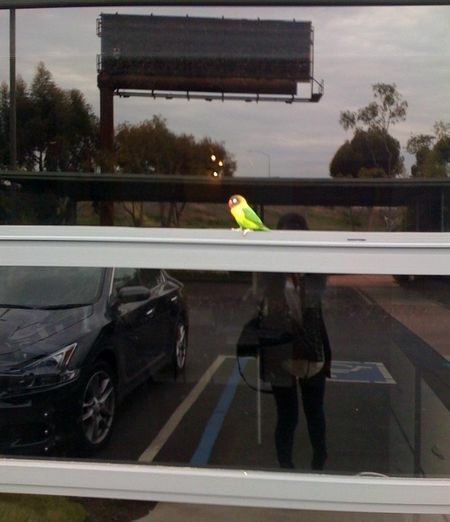 Video can be found here.